Holly Kernot finds out about clinical nurse lead Lucy Montague’s journey, how she helps colleagues map their career path and her “top tips” for those looking to emulate her. This month sees us team up with Miele and hear from Ella Tolliday REVN, who discusses the challenges of maintaining a clean, sanitary environment and how she meets the standard. Alison Devonshire, of the RCVS Ethics Review Panel, discusses the fascinating facet of research in the VN sphere, before guiding nurses through how to make an ethical study proposal – especially if not affiliated with an academic institution. What could future VN day be like? Paul Imrie reports on a BSAVA Congress session by Liz Cox, chairman of RCVS VN council and a co-chairman of the RCVS/BVNA VN Futures project, where she described her vision of the nursing role in 2025. VN Times editor Holly Kernot reports on the latest Association of Zoo and Exotic Veterinary Nurses conference, held at West Midland Safari Park and hailed “the best yet”. Scott Parry shares his experience of participating in the Practice Standards Scheme evaluation process and offers top tips for those preparing for the big day. This month's Practice Champions sees us team up with Bayer Animal Health, while Kerry Lambert discusses what she and her colleagues do to promote parasiticide compliance among their clients. Helen Tottey, RVN and VN Times editorial board member, summarises and shares her thoughts on the College of Animal Welfare Head Nurse Congress 2018, which – fittingly – took place during Veterinary Nursing Awareness Month. 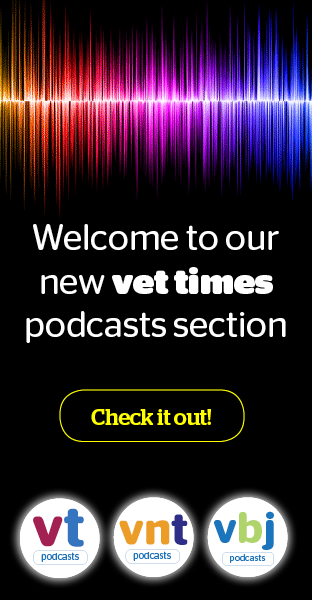 Helen Russell RVN, takes a look at VetSafe, a web-based system designed to help protect clinicians, colleagues and patients from professional errors. Wendy Sneddon discusses ways of preventing intimidating behaviour between colleagues in the workplace, highlighting to key decision-makers the fact this type of conduct does not necessarily only happen in the school playground. Kirsty Cavill BSc(Hons), RVN, summarises a lecture she was invited to undertake as part of the annual Cornish Veterinary Association's CPD day OA stream. RVNs starting the Certificate of Veterinary Nursing in Emergency and Critical Care in October – or who are interested, but maybe decided against it due to money – are in with a chance to have the course funded, thanks to another VN Times and Vets Now team-up. Sally Clarke, director of vets, provides an overview of how Simplyhealth Professionals help practices make the most of their membership. RVN Stacey Bullock helps readers prepare for, and solve, those tricky times when training student nurses. BVNA council member Erika Feilberg reminds readers about this support resource – there to help veterinary nurses when things get tricky.